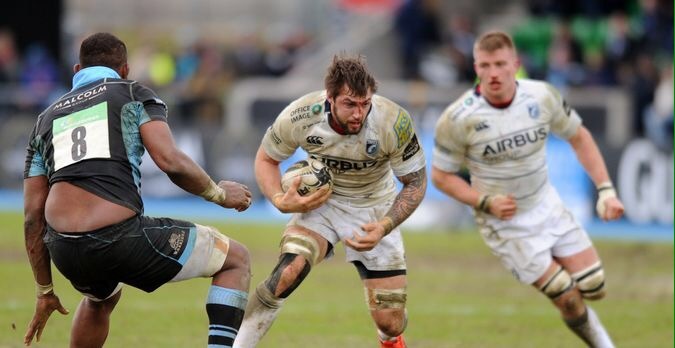 Cardiff snatched the most unlikely bonus point as for the second week in a row a lacklustre first half performance was saved by a late comeback. 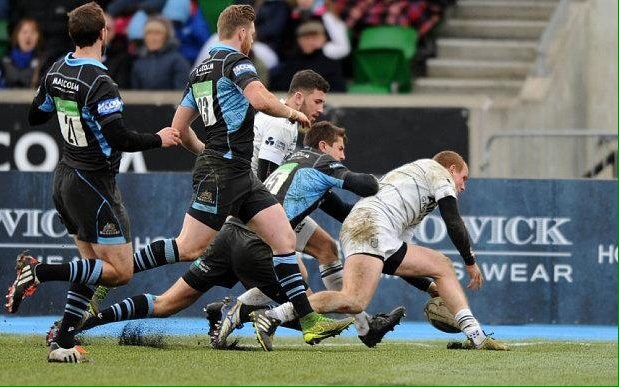 It is now becoming a recurring theme that is easy to laugh and joke about, ‘oh just wait until the last minute comeback!’, but if we are to seriously challenge in the Pro12 next season then we really need to be playing for the full 80 minutes. I was cautiously optimistic going into the game with the hope that a confidence boosting win against Ulster last weekend would catapult us towards really giving Glasgow a contest in Scotland, and the team selection reflected how we played at the end of last week’s match with the attacking runners of Rhys Patchell, Dan Fish and Aled Summerhill all ready to run the outside channels. However, the game got off to a dreadful start. From the very beginning of the first half we were second best to everything. 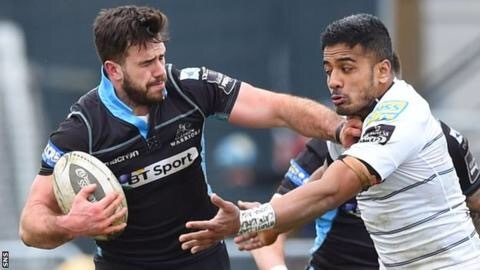 Danny Wilson said post-game that it was ‘the poorest half of rugby we have produced for some time’, and that is an understatement. We were weak in the tackle, slow to the breakdown, lacked any speed in attack and just looked clueless. The team looked like they’d never played together before. Penalties were conceded for not rolling away and quite rightly as we seemed lazy in all aspects of defence, culminating in Glasgow going 3-0 up and then being camped in our red zone. The ball went came out to Fraser Brown who brushed off the onrushing Rey Lee-Lo with ease before being brought down by Patchell a yard out. Lee-Lo came around the back of the ruck, completely turned his back on it and ignored the fringes to allow Gordon Reid to just reach over the line. I don’t entirely blame Lee-Lo as it shouldn’t be his job to defend the fringes, but a little awareness wouldn’t have gone amiss. Minutes later Glasgow were back in our half with Scottish international Mark Bennett was on the end of some neat hands and over in the corner, only to inexplicably spill the ball when trying to place it down with one hand. Had he scored that I think we would’ve been put to bed, but we managed to get a foothold in the game and hands on the ball. We didn’t go anywhere with it, but we weren’t conceding anymore and that’s what was key at the end of the game. We weren’t going anywhere for two reasons; 1) We literally couldn’t attack for toffee. The play was narrow and slow against a quick Glasgow defensive line and mistakes were rife, and 2) Dudley Phillips, the Irish referee, was absolutely shocking. Now I’m not saying this because we lost, I am of the opinion we would have lost whoever was refereeing, but just while we are in the middle of such a debate over Pro12 refereeing I thought I would point out how poor he was. The main issue was his one-sided refereeing of the breakdown as he constantly penalised us for going off our feet when in possession while completely ignoring the home side’s hands in the ruck. There was also a missed tip tackle on Lee-Lo, high tackle on Jarrod Evans and two clear Glasgow knock-ons. There will be a final shocker in a bit. Anyway, by now the clock had turned to red in the first half and at only 13-0 down after a second Duncan ‘no neck’ Weir penalty it wasn’t looking too bad. 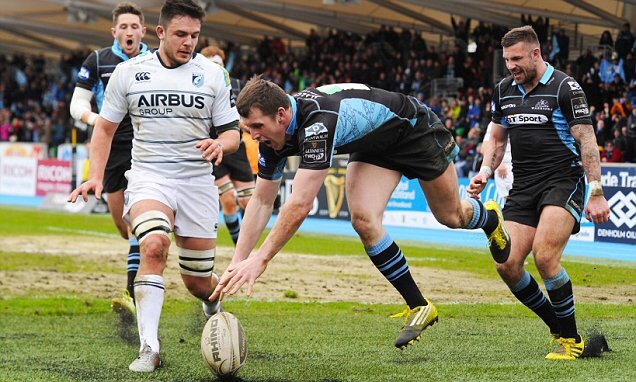 So naturally we allowed lock Tim Swinson to burrow over and the neck-less man’s conversion put us 20-0 down with no hope of getting anything out of the game the way things were going. To add insult to injury one of our most consistent performers in James Down was removed after being knocked out cold, although a team overhaul was needed. Eventually that did happen 10 minutes into the second half as Josh Navidi, Tau Filise and Garyn Smith were introduced for Manoa Vosawai, Salesi Ma’afu and Jarrod Evans. Lewis Jones also came on for Tomos Williams 10 minutes after that again, and 20 minutes after it should’ve happened, and soon we were rolling. Rhys Patchell got our first points to make it 20-3 and after an hour we were on the board. Corey Domachowski and Harri Millard both made their debuts soon after off the bench, and as we entered the final 10 minutes of the match I’m sure there were few prepared for what was about to come. Off a scrum in strong field position Blaine Scully made yards, before the ball was quickly recycled wide to Dan Fish to kick through and chase for a try via the TMO. Just when you thought things were looking up, referee Dudley struck. Up went the high ball and Aled Summerhill charged after it, he was beaten in the air and collided with the Glasgow player, who went down and carried on playing. Phillips wandered in, blew his whistle, and promptly sin binned Summerhill in the most ridiculous piece of refereeing I’ve seen since his Irish colleague Clancy ruled out Sam Davies’ try for the Ospreys at Connacht the other week. Back in Scotland, the home side went to the corner with the penalty and drove over to make it 27-8 with five minutes left. Would Phillips’ obvious attempts to hinder us work though? No chance. When this team wants to, they will fight, and when they are fighting they will actually play good rugby. We started playing high tempo, expansive rugby, looking for line breaks and field position. 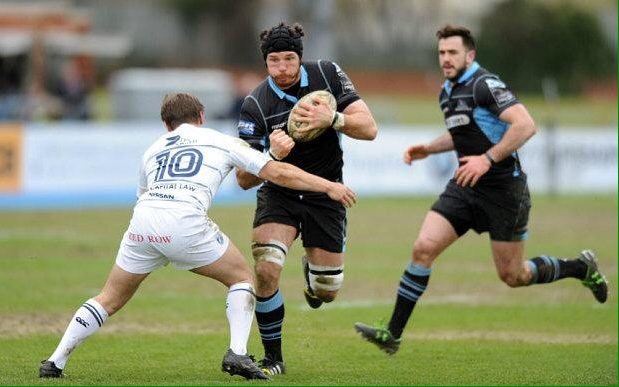 Glasgow became rattled and started conceding penalties which put us in the corner and Ellis Jenkins was gladly on the back of a rolling maul over the line. It was the same from the restart as Scully recovered possession and further Glasgow infringements were punished 82 minutes too late by Dudders. With it now 14v14 Cardiff were right on the front foot and bonus point hunting. The forwards battled through into the home side’s half, Ethan Lewis expecially impressing with his running, before Garyn Smith moved us up to the five-metre line. Quick ball, which oddly is a recurring theme of a few tries the last few weeks, saw the ball zipped through the hands to Domachowski who fed Macauley Cook for the clincher. An odd feeling at the end of the game as it almost felt like a real success to gain a bonus point, and if I’d been offered it pre-match I may well have accepted. The problem is letting the late comeback and bonus point detract from the fact that the first half performance was quite frankly diabolical. It’s not good enough to wait until we’re well behind to start playing. The squad is good enough to compete at the top half of the Pro12, but we need to have the confidence to do that, the confidence to go and really dominate a team for the majority of the game. I don’t remember the last time we did that when we weren’t playing an Italian side at home. I think there needs to be changes to the starting XV now, rather than just tinkering, and the players that come in need to take their impressive form off the bench and into the first team. Ethan Lewis, Tau Filise, Macauley Cook, Josh Navidi, Lewis Jones and Garyn Smith have all impressed off the bench in recent weeks. We seem to be stuck in picking the same second row combination, the same back row combination and the same players in the backs, just in slightly different positions. It’s time to put a bit of a rocket up the backside of the players who seem like their position is assured and give the younger/fringe players a chance before the end of the season. Anyway, two weeks off to think about that now.